Easter is quickly approaching and many Ohioans will enjoy family traditions like dyeinh hard-boiled Easter eggs and hosting egg hunts. Step one: As consumers are looking to purchase their fresh Ohio eggs, make sure to open the carton to ensure no eggs cracked while transported to the local grocery store. Step two: Store eggs in the refrigerator at 40 degrees Fahrenheit or colder until ready to use; note: eggs can be safely stored in the carton in the refrigerator for up to four weeks. Step three: Prepare to hard boil eggs. Place eggs in a saucepan large enough to hold them in a single layer with enough cold water to cover the eggs by one inch. Heat over high heat until the water is boiling and then remove the saucepan from the heat. Cover the pan and let eggs stand in hot water for 15 minutes (for large eggs), 12 minutes (for medium eggs) or 18 minutes (for extra large eggs). Remove the eggs from the hot water and run them under cold water or set them in a bowl of ice water. For a video demonstration on how to hard-boil eggs, featuring Jim Chakeres, click here. Step four: Before coloring the eggs, they should be completely cooled and kept in the refrigerator until ready for use. 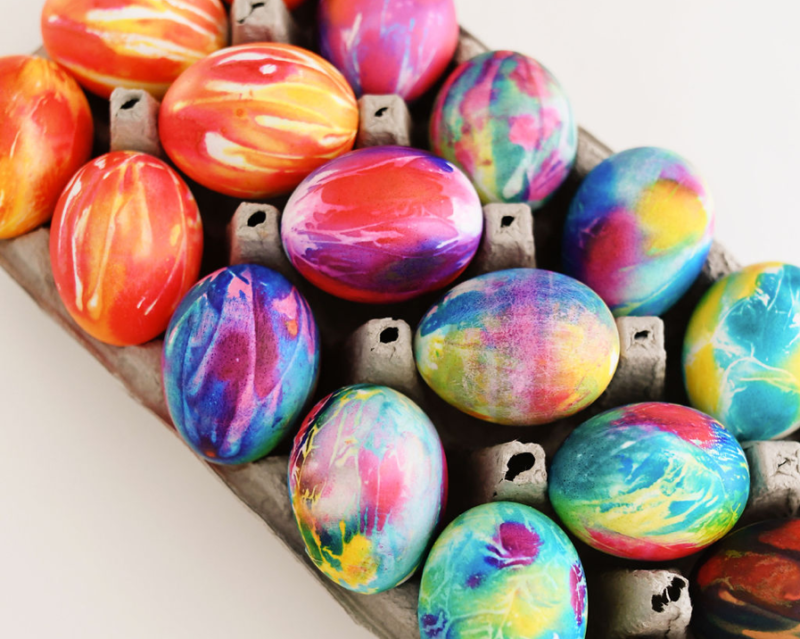 Prepare a table or area for eggs to be dyed and ensure the decorating materials are food-safe. Step six: Decorated eggs can be hidden and on display for up to two hours, otherwise the eggs need to be kept in the refrigerator. If hiding decorated eggs, put them where they will not come into contact with pets, other animals or birds or lawn chemicals. If un-cracked and stored in the refrigerator in their shell, hard-boiled eggs can be safely consumed within seven days. Click here for more eggs-pert Easter egg decorating tips, like glow-in-the-dark, tie-dye, glitter-dipped and marbled eggs. There’s a good chance your Easter eggs are from an Ohio egg farm! Ohio is one of the largest egg farming states in the nation producing about 9 billion eggs each year. 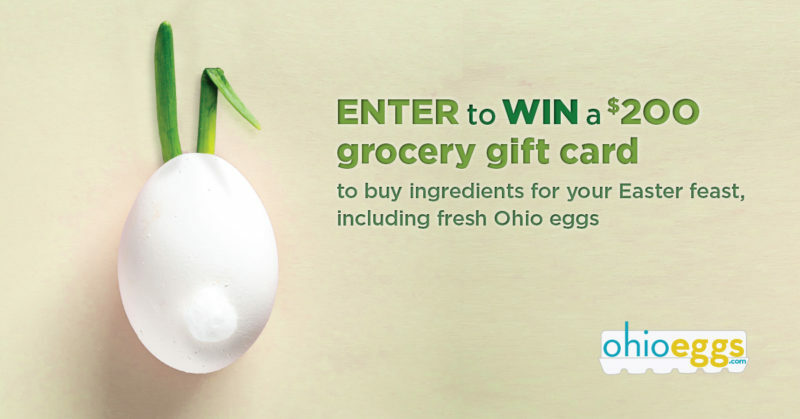 Enter for your chance to win a $200 grocery gift card from Ohio’s egg farming families for your Easter feast: https://woobox.com/6rbc6r. The deadline to enter is Wednesday, April 17 at midnight.